From best-selling author Becky Goldsmith of Piece O'Cake Designs comes this totally adorable, rainbow-coloured quilt to applique. 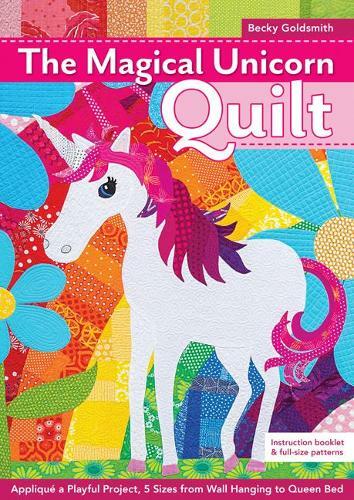 With two sizes of unicorn blocks (35" x 35" and 50" x 50") and five sizes of quilts (wall, crib, twin, throw and queen), you'll be able to make an enchanting quilt for all the unicorn lovers in your life, large or small! Includes instructions for both needle-turn applique, as well as finishing techniques.